Did everyone enjoy the Superbowl? ... Do you know I totally forgot it was happening until like Saturday afternoon? I really just dont get into sports. I kinda wish I did - feel like I'm missing out on something. But hey, I at least tried to watch a little bit - & let's be honest - only watched for the commercials. & then I knew I had some Home & Family on my DVR that I needed to get to. So much for football. So my weekend started off with me taking my glasses back because I thought they were too strong in the bifocal part. Know what they did? MADE THEM STRONGER!!!! Are you kidding me??? 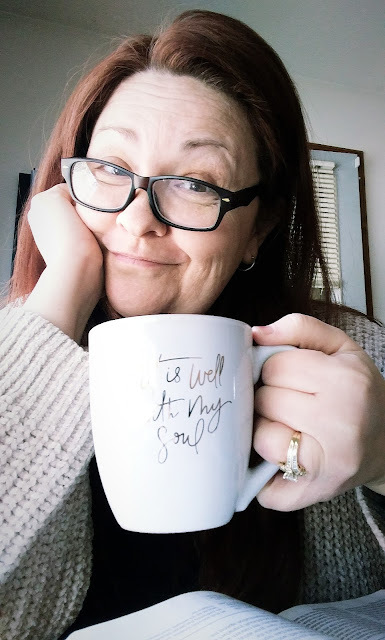 I did had to pick out a new frame too because the ones I had were apparently too big for bifocals - which is kind of a joke because when I picked those out, they told me that they were good for bifocals because you cant have a small glass area. Geez. I got my prescription from them this time & just thinking of going to try some online places that I see people use. I go today after work to pick up my glasses. I'm not holding out much hope that they're going to be anything special. I always say that Friday is my more tired evening... & this was no exception. We were all snuggled into bed by 9:00pm & sound asleep by 9:30. We party hard in this house. Saturday, I was on a mission... get my foyer cleaned out of all the boxes of stuff I wanted to donate. 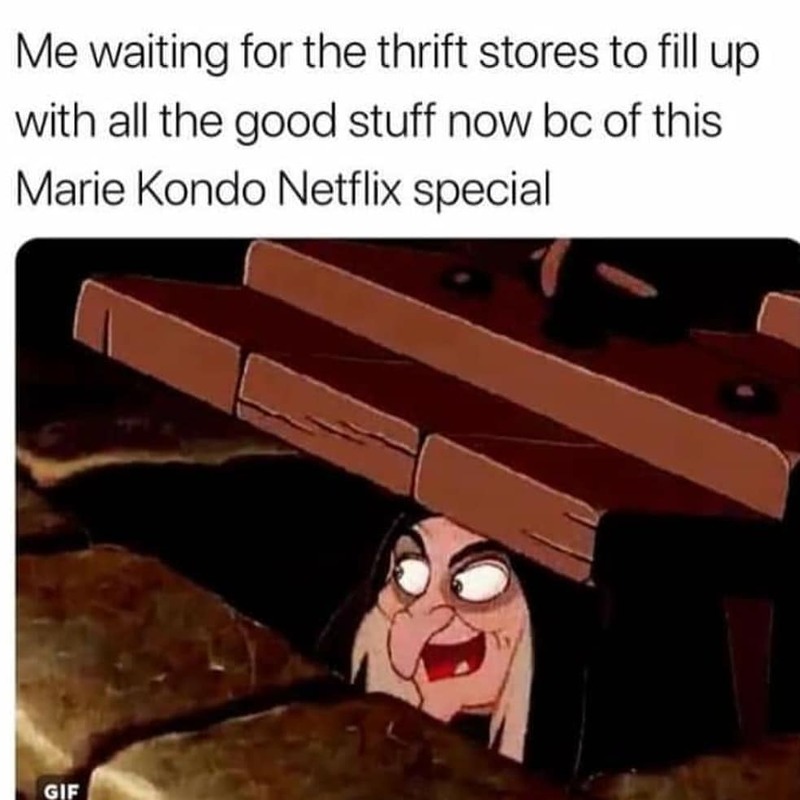 So I loaded up the car & headed down to Goodwill. Do you know, there was not one spot in that parking lot open. The entire place was full. & a line for people dropping stuff off. We went over to take care of the horses & I took my mom to the Dollar Store to pick up some stuff. 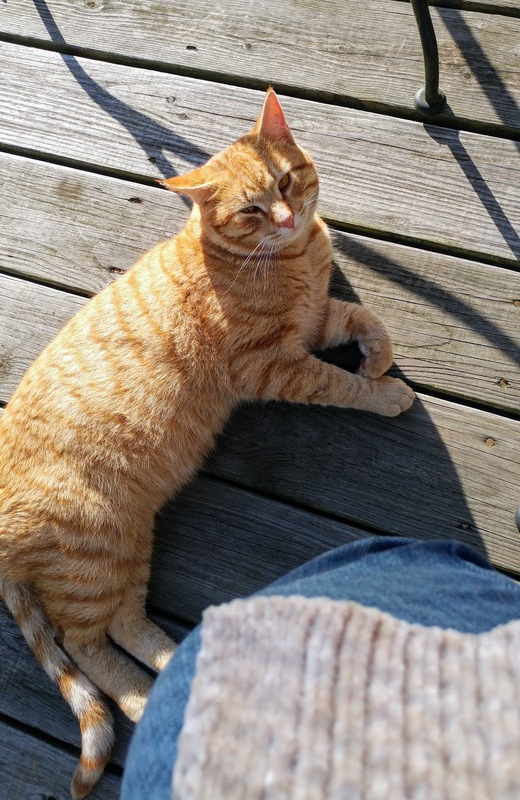 We sat outside most of the time over at mom's because she had a visitor.... a orange cat that wandered up - the SWEETEST little cat. Mom of course fed him & he gobbled up & every time I sat down, he'd jump in my lap. & purred the day away. He was just the cutest thing. I did use my Saturday to watch the rest of The Unbreakable Kimmy Schmitt - & so sad it's over. I really did like the ending though. But I'm gonna miss that gang. I also started watching the Ted Bundy tapes... & then realized I didnt even care. I remember when all that happened way back in the 70's... the fear of it all of telling women to not go anywhere alone. I was just a kid, but honestly, I remember it all - & remember the made for tv shows after he was caught. So after getting through the first episode, I just didnt want to devote my time to focusing on this stuff. 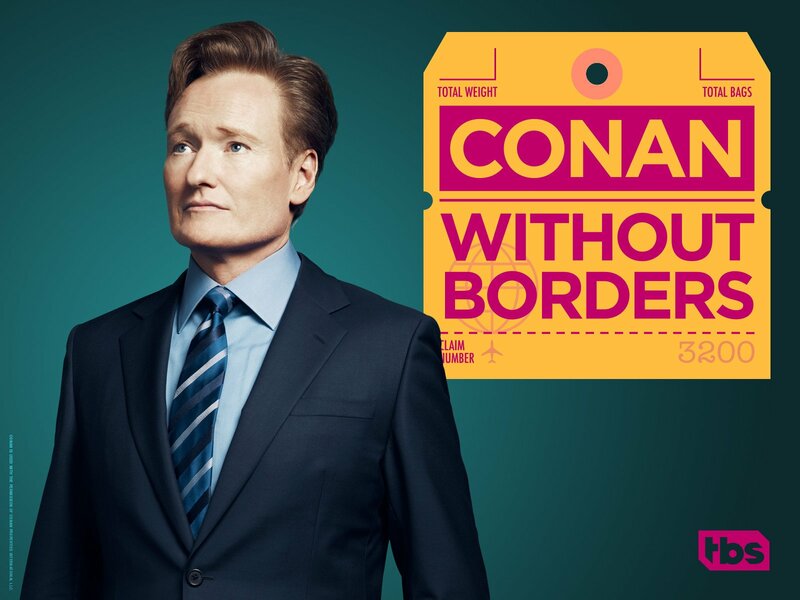 Instead, I found Conan O'Brien's shows where he travels around the world. OH MY GOSH - I laughed so hard!! & it was just so interesting to see how the world talks about our country & President right now. Tough times. Sunday, I got up at 6:00am just not feeling well. I just havent really felt well the past 2 weeks, but add in my vertigo. THE WORST! If you've ever had veritgo, you get it - its not even something you can really describe. "Dizzy" isn't big enough to use for vertigo. I got up & got ready for church & couldnt even walk down the hall way - so I figured driving a big vehicle wouldnt be that smart. I took some meds & laid down hoping to let it pass - but ended up falling asleep & didnt wake up till around 2. S much for church this week. I stayed in bed & watched A Walk to Remember just because its a classic that always makes me want to cry (I need to re-read the book again - loved it so much better than the movie) & then outside to see how it felt ... & OH MY GOODNESS.... it felt like Spring. It was 68 degrees. SIXTY-EIGHT DEGREES!!!! After all the freezing temps of single digits just a few days ago, that's just nuts to me. 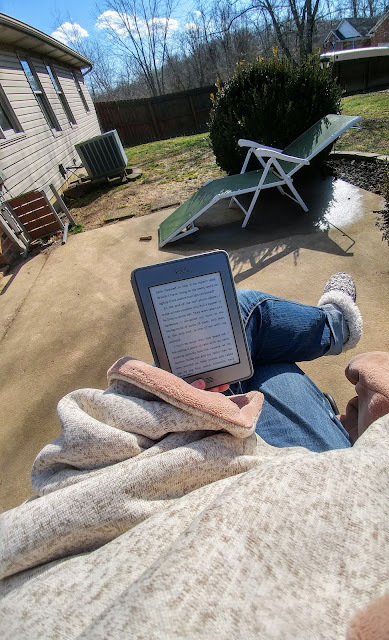 I ended up grabbing a blanket to protect from wind & my kindle & just soaked up the sun - the best medicine when you feel bad. Another weekend in the books.... Let's just PRESS ON through this week. Hope the winter air is kind to us this week. I'll take every warmer day we can get! Did you get a break from the cold? Have you ever had Vertigo?